Food, friends, and fun at My Neighbors' Pub! 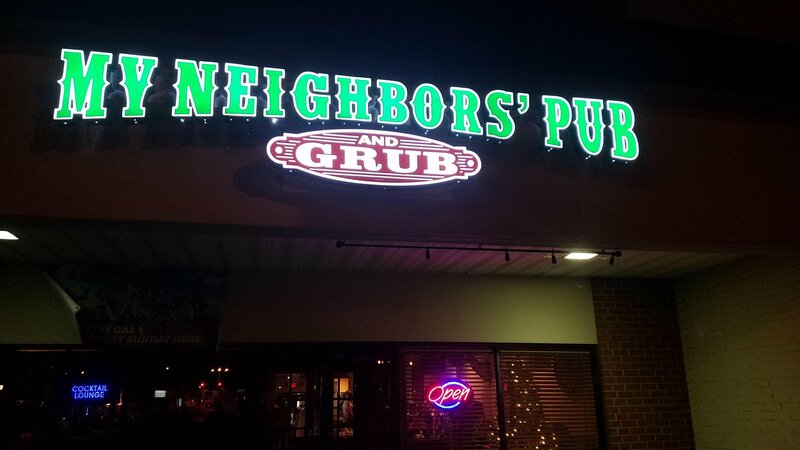 Local hang out with a little of everything: great food, casual bar, pool tables, dartboards, jukebox, and fun times with the neighbors! Great menu options for a quick lunch, full dinner or late night snacks! Specials each day of the week AND for events!! 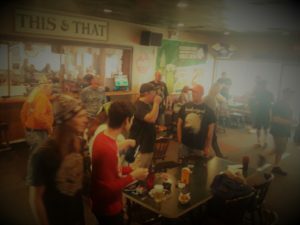 Come one, come all - shoot some pool, catch the game on tv, throw some darts, listen to music, test your skill with the Queen payout game, play a round of golf on Golden Tee....or simply hang out with friends at My Neighbors' Pub enjoying food and libation. Check out the calendar for upcoming public events and fundraisers Also make note of closings for private parties. Contact us to help with your next social occasion!